We’re going to let you in on a little secret: we love stripes. From sailor tees to racer-stripe pants, the more stripes the better in our book. Lucky for us, the hero pattern has undergone a lively transformation for fall, and with retro influence to boot. 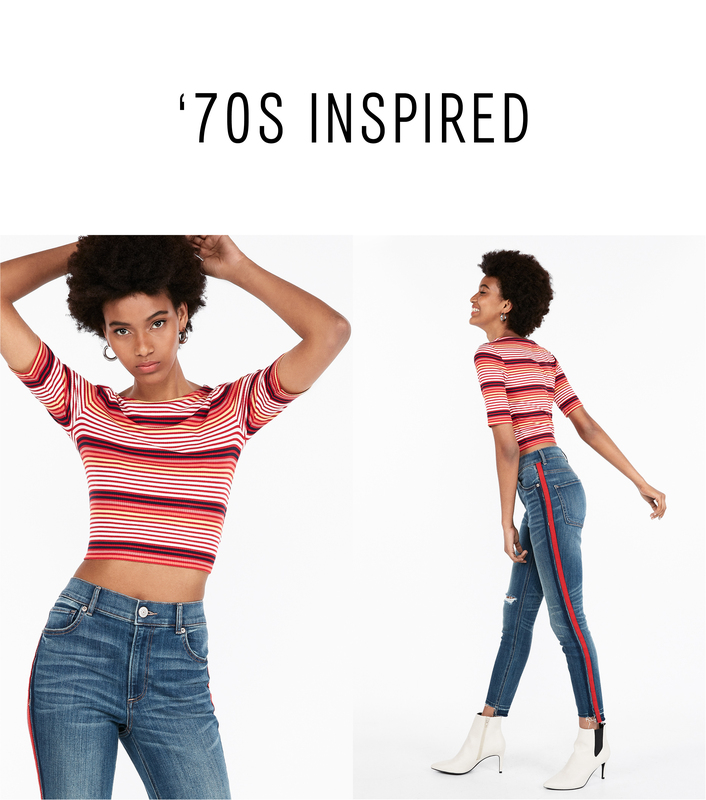 Think ribbed tees á la the ‘70s, vibrant, variegated separates, and tailored pinstripes with a modern twist. Styling a single striped piece is simple enough, but for punchier sartorial impact in the new season, we’re all for wearing two stripes pieces at once. We know, bold! If multiple stripes sound scary or too difficult to pull off: it’s not, we swear. Pattern play is all about finding a synergy within the palette—the trick is to pick contrasting items with a color in common to tie it all together. This applies whether you go flamboyant route or stick to a subtle paring. 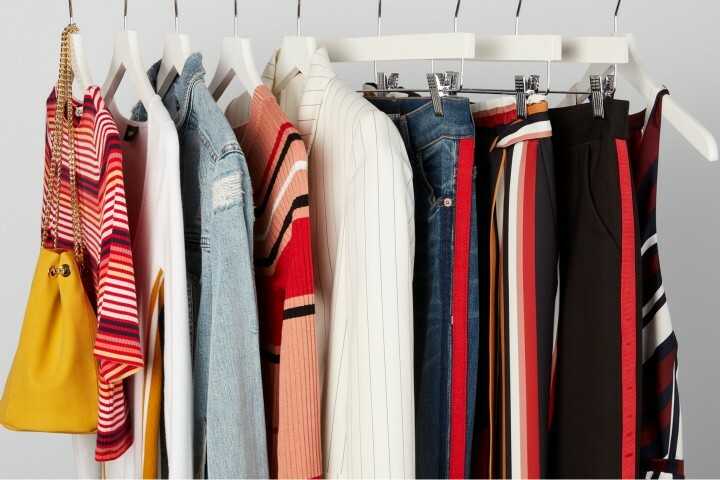 To further illustrate the ease of head-to-toe stripes, we’ve assembled four fresh-for-fall outfits from minimally lined tops to multicolored trousers and jeans. Bold stripes, for fall? Groundbreaking! What better way to show your athletic side than with stripes? 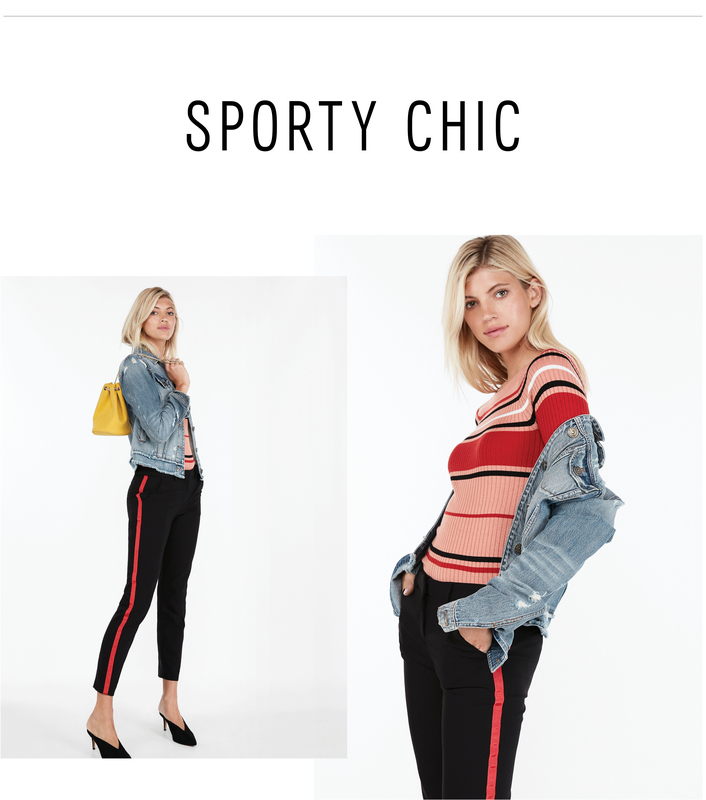 A ribbed sweater and racer-stripe pants are an easy-to-wear pairing with sporty impact (the tonal stripe on the pant makes this combination an effortless one to pull off). As a stylish offset, go for a colorful bag, sleek heels, and a gently tattered denim jacket. Channel a ‘70s mood off duty by opting for a stripped ribbed tee and side-striped jeans. The coordinated red palette keeps this look easy while optic white boots and sleek hoops push it into fashion-forward territory. Spruce up your workwear by donning stripes on stripes at the office. While a variegated jumpsuit may seem too statement-making for work, this tailored pinstripe blazer perfectly tempers the look on days when you want to command a room. Classic pumps and hoops create a streamlined finish. 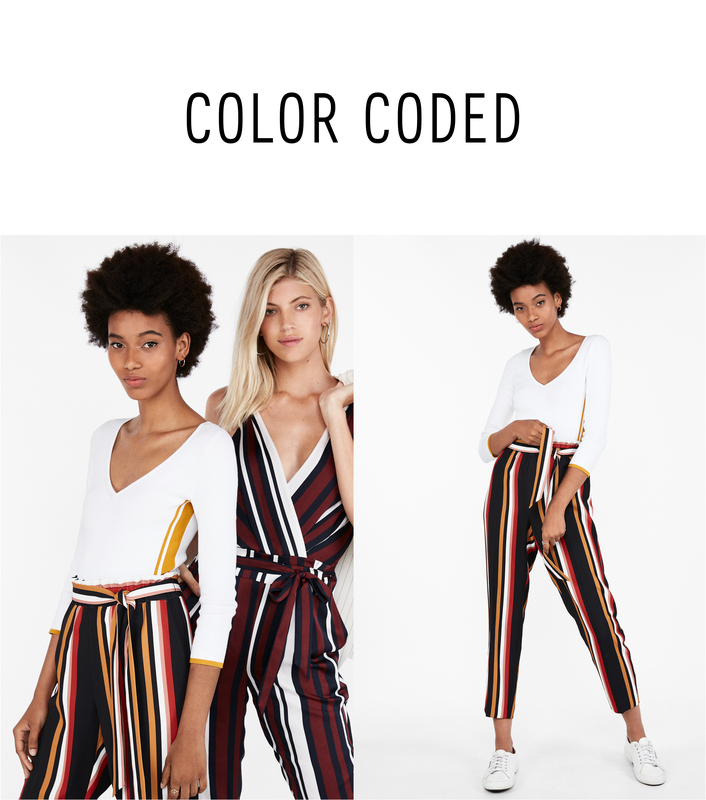 For a subtler take on double stripes, reach for a fitted top with a stripe down the side and tuck it into colorfully lined high-waist trousers. White sneaks and hoops give this outfit a sporty spin.